The selection of a hydrocarbon recovery system and its associated equipment is based on specific remedial objectives, design constraints, and site conditions. Hydrocarbon recovery systems are chosen to satisfy remedial objectives involving the control of petroleum hydrocarbon migration, maximum free product recovery, and simultaneous free product and vapor phase collection. Design constraints governing the selection of recovery systems may be site specific. Passive Skimming Systems that separates product from water over time while utilizing a floating oleophilic/hydrophobic intake cartridge. Liquid hydrocarbons are stored in the skimmer until manually emptied at the surface. Active Skimming Systems that utilize pneumatic or electric pumps that pump separated product up to the surface and into product recovery tanks automatically. 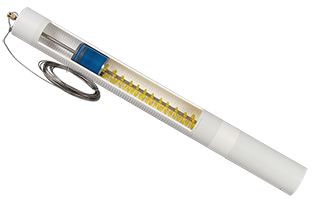 Electrically Operated Systems that use sensor probes to locate the hydrocarbon layers in water and then pump only the product up to the surface and into product recovery tanks. 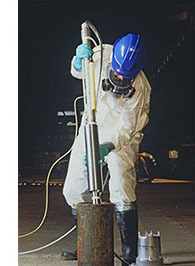 Soil Vapor Extraction Systems for the removal of hazardous vapors from contaminated soil. 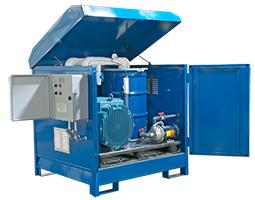 Air Sparge Systems that inject air into contaminated groundwater, moving volatilized hydrocarbons into the soil for soil vapor extraction removal. Dual Phase Extraction Systems that remove VOCs from groundwater and vapors from the soil using high-vacuum. Electric Submersible Pumps that pump polluted water to the surface for treatment. 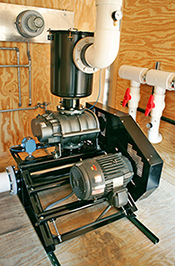 Pneumatic Remediation Pumps that pump to the surface dissolved hydrocarbons, leachate and condensate. Water Treatment Systems for the separation and removal of dissolved phase hydrocarbons from groundwater.